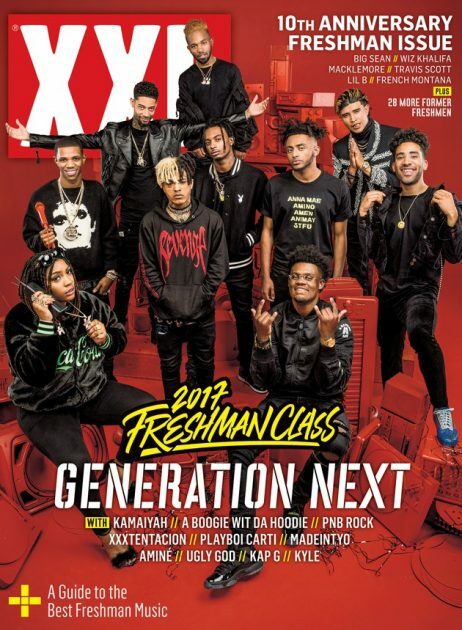 Check out the new issue of XXL Magazine as they unveil their new freshman class of 2017. Get into their cover story which features rising rap stars Playboi Carti, Madeintyo and Kap G, Florida’s XXXTentacion, The Bronx’s A Boogie Wit Da Hoodie, Oakland’s Kamaiyah, Philly’s PnB Rock, Houston’s Ugly God, Portland’s Amine and Ventura’s KYLE. Look for the 10th freshman cover to hit newsstands later this month and Be on the lookout as XXL will be releasing freestyles, cyphers and solo interviews with their newest Freshmen cover stars as well.